The Japanese developer Isao Maruoka is the author of the original Pixia. It's a drawing and editing application that, due to its originality and great quality, was later adapted to English. Thus, all users can use the application in a language that is easier to be understood worldwide. A graphical editor aimed at comics. 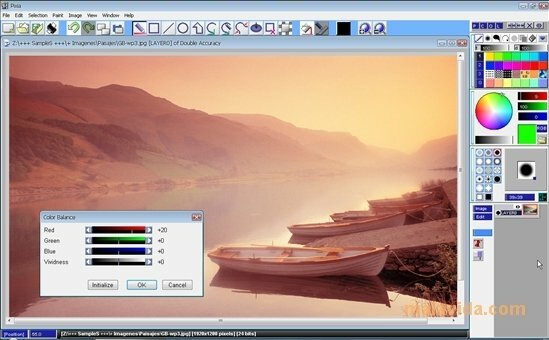 And furthermore, it includes other tools focused on small enhancements, like different kinds of filters, masks, layers, rotate, color and tone balance, brightness and contrast adjustments, etc. The latest version of Pixia has been completely adapted to new technologies. Thus, it includes compatibility with Windows 7 and it incorporates functions like the detection of pressure when using a Touch Tablet.